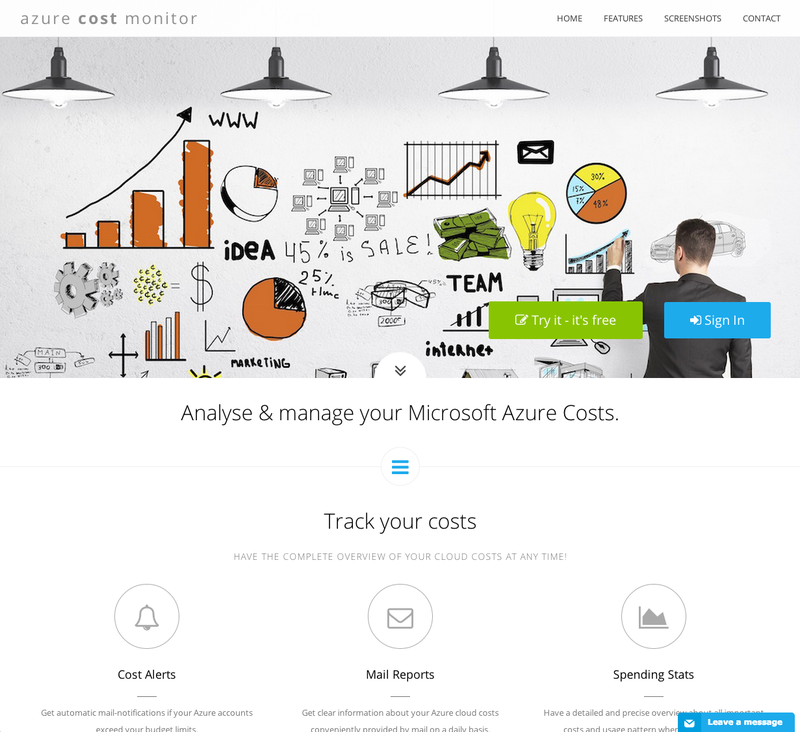 The azure cost monitor team is pleased to announce the launch of their newly designed Web site, which goes live today, and is located at the same address: https://costs.azurewebsites.net. It is now using a responsive design, which means that you’ll see essentially the same design optimized for your smart phone, tablet and desktop. We know that landing pages are very important so we have decided to totally re-design and re-organise ours. Our new landing page now displays all important information like features, screenshots, a contact form and log-in possibilities. We hope you will visit the new website at https://costs.azurewebsites.net and acquaint yourself with the new design. And while you’re there, don’t hesitate and let us know what you think by leaving a message. 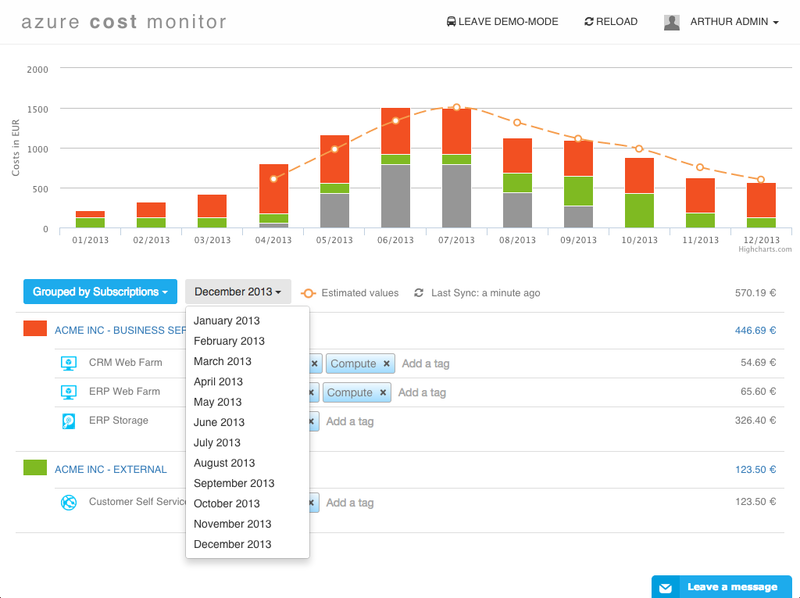 In the coming months, we hope to continue improving the site, so that it best serves all of your Azure cloud cost monitoring needs.